Today I’m going to keep it short and Sweet! By way of kicking off the cookie baking season I’ve compiled a few of my favorite cookies recipes from here on the blog to give you some inspiration for those marathon baking sessions…..Christmas Cookies! I’ve been getting my list of “Plan to Bake Cookies” ready, and am about to embark on a baking storm. I just love to have cookies and treats on hand to give to everyone I see at this time of year. So as I bake and photograph these new additions, here are a few to keep you going in the meantime. Stay tuned for some awesome festive treats. Have a fun time baking! Stop what you are doing, except for reading this post of course, because you will want to make these cookies. Halloween is almost here and the little ghosts and gremlins will love these soft cookies, bursting with chocolate chips. These are not all cakey-pumpkin-y blobs like some pumpkin cookies are. These are soft, but just right. They look like any other chocolate chip cookies, but with a mild pumpkin-spice flavor. They are loaded with chocolate chips, and they stay soft for days (if they last that long). I “fiddled” with my favorite chocolate chip cookie recipe, adding a small amount of pumpkin puree in place of some of the butter, and included a variety of spices. They turned out incredibly good. Even folks who say they don’t like pumpkin ate these and made note of how different and good they were. I made no mention of the pumpkin in them. I simply smiled and said, “Yes, they are good aren’t they.” If you love chocolate chip cookies, try this “make-over” recipe for the perfect fall cookie. 1. Preheat oven to 350*F. Line two baking sheet with parchment paper or a silicone baking mat. 2. In the large bowl of a stand mixer, cream together the butter and sugars. Mix in the pumpkin and vanilla. 6 Tbsp. pumpkin added to creamed sugars and butter. Whisk together the dry ingredients and add to creamed mixture. Mix well until there are no streaks in the batter. Add chocolate chips and stir into dough. 3. Use a medium scoop to portion out the dough for uniform sized cookies. I used a 1 tablespoon scoop. Place the dough 2-inches apart on the baking sheets. If desired, press additional chips into the tops of each cookie. Scoop out dough onto cookie sheets. 4. Bake for 10 – 11 minutes. Allow cookies to rest on baking sheets for 2 minutes before transferring to a wire rack to cool completely. They keep their shape once baked. At my house we are just a little crazy for cookies and cream flavored anything: candy bars, ice cream, milk shakes. So when I came across this recipe for cookies and cream cookies I knew they would be a hit for sure. They are based on a candy product by Hershey called “Cookies ‘n Creme Drops”. They are available in Target and other larger stores, but I also found them at my local grocery store. You’ll need three mix-ins for these cookies: the cookies and creme drops that I’ve already mentioned, Oreo cookies, and white chocolate chips. You’ll also need a muffin top pan or whoopie pie pan. I found mine on Amazon. 1. Grease a muffin top/ whoopie pie pan with shortening. 2. Combine the flour, cocoa, baking soda and salt. Set aside. 3. In a large bowl of a stand mixer, cream together the butter and sugar. Add in the eggs one at a tine, beating until well combined. Beat in the vanilla. 4. Add the flour mixture in 3 additions, beating on low. Stir in the drops, chips, and Oreos. The dough will be somewhat sticky. Refrigerate it for 1 hour to make it easier to work with. Stir in all the extra goodies. 5. Preheat oven to 350*F.
7. Bake for 15 – 18 minutes. Remove from the oven and let cool in the pan for 3 – 5 minutes. Run a small spatula along the edge of the pan and lift onto a cooling rack. Rinse the pan with cool water, regrease it, and continue baking the remainder of the batter. Make these. You know you want to!! Cookies packed into lunch boxes, cookies as after school snacks, cookies for anytime that urge for a sweet takes over. Today we are making back to school cookies that are as “healthy” as I can make them after several attempts to take them from “big and bad” to “big and (almost) good for you”. I really wish I could do something about eliminating those darn calories!! We like our cookies really big around here. 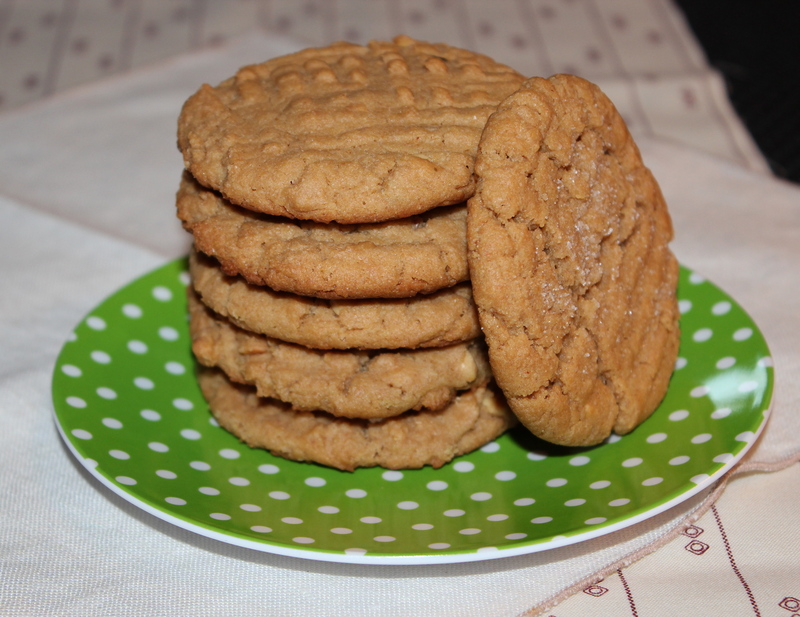 I’m talkin’ Peanut Butter Cookies, here. I like my peanut butter cookies to be really BIG. Big in diameter and big in thickness. Thin little peanut butter cookies just don’t do it for me. They need to be so big that two people can share one cookie and be satisfied with their half of it. Are you wondering where I could have had such a cookie? At a local Cider Mill near where I live. Every Fall Mr. D. and I go for a ride to view the Fall foliage, and we stop at the cider mill to get apples, cider and a cookie. Yep, just one, and we share it. That cookie is my ideal where peanut butter cookies are concerned, and I keep playing around with recipes trying to duplicate it. The cookie recipe I’m presenting here comes pretty close, but they are still not quite thick enough. I need to keep working on getting that right, but in the mean time these are very good indeed. First, are they chewy inside? Check. Are they really big? They can be as big as you care to make them. Are they crunchy? Check, I used chunky peanut butter. How healthy are they? Pretty healthy, really. I used whole wheat flour for fiber (which you would never know if I didn’t tell you), honey for some sweetness, that allowed me to cut back on the sugar, and only 4 Tablespoons of butter. The remaining fat comes from the peanut butter and I used an “all natural” brand, so no corn syrup or other added stuff. I used a 1/4 cup cookie scoop to measure out the dough. 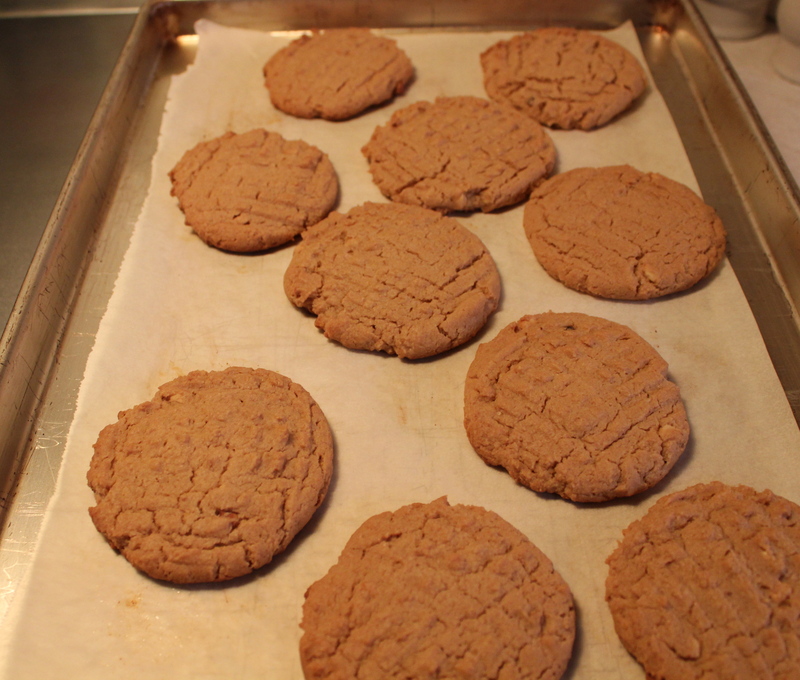 The cookies spread while baking and puff up, but flatten out some as they cool so you get that chewy interior. 1. Preheat oven to 375 degrees. Line two cookie sheets with parchment paper. 2. 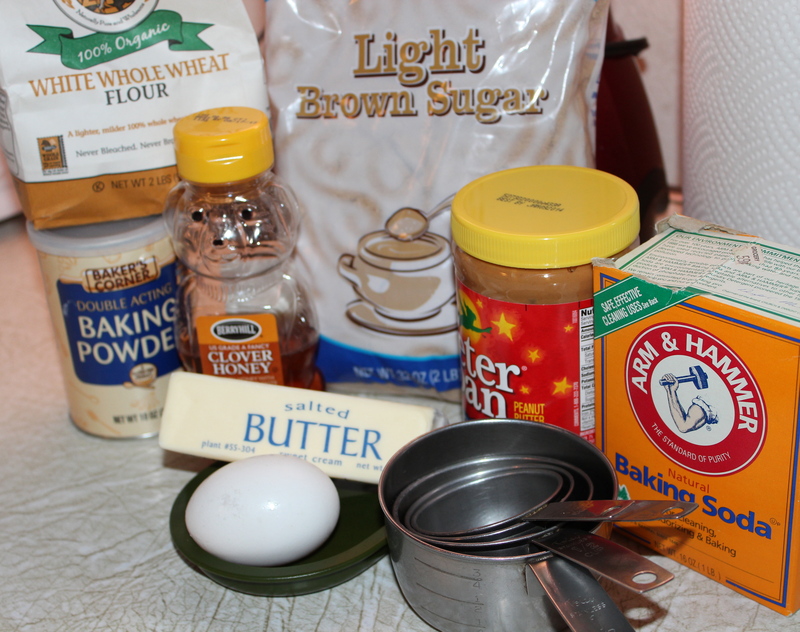 In a large mixer bowl, beat together the sugar, brown sugar, butter and peanut butter on low speed until well mixed. Beat in honey and egg until well blended. 3. Beat in as much flour as you can, then stir in the rest with a wooden spoon to create a smooth dough that is quite thick. 4. Measure out dough using a cookie scoop, or form the dough into balls (about 1 1/2 inch). Place on cookie sheets about 3 inches apart. Flatten with a fork to form a crisscross pattern. Sprinkle lightly with additional sugar. Freshly baked, just out of the oven. 5. Bake 7 to 9 minutes or until lightly browned. If cookies are really large, you may need an additional 1-2 minutes. Cool for 1 minute and remove from cookie sheets to cooling racks and cool for another 15 minutes. If any of you know how to make these thicker while keeping their size, please share your secret with me. I’m aiming for the kind of thick cookie you can get in a bakery. Thanks, readers. SOURCE: This recipe is several adaptations removed from the recipe my mother used to bake. Sometimes being put on the spot with only a short amount of time does wonders for the imagination. With very little time to plan and pull this off in grand style, I was asked to provide a dessert; a “small finger-food” type that would not require a fork to eat it. As most of you know by now, I would not be one to turn up with a pan of brownies cut into small squares. I needed to come up with something with a little more pizzazz!! So, an idea clicked into my head based on a picture I had seen of lemon-filled cookies. I expanded on that concept and turned what would have been the cookie into a small tart, by pressing the dough into mini muffin pan/cups. Once baked, but still warm, I made a depression in the center of each one with a cork, then I filled it with lemon curd. For this recipe I made a sugar cookie dough because I thought the sweetness of sugar cookie would be a nice contrast to the tart lemon curd. As a time saver you could use a roll of refrigerated sugar cookie dough sliced and pressed into the mini-muffin pans to make the tart. Lemon curd is available at the supermarket in the area where jams and jelly are displayed, or of course, you could make your own, but this is intended as a quick recipe….let’s not do extra work here. These are as yummy as they look. 1. In a large mixing bowl, cream butter and sugar until light and fluffy. Beat in egg and vanilla. Combine the flour, baking powder and salt; gradually add to the creamed mixture. Shape into 2 rolls, wrap each in plastic wrap. Refrigerate for at least an hour or until firm. 3. Unwrap dough; slice into 36 slices. Place each slice into a mini-muffin cup. Using your fingers press the dough up the sides of the pan to form a “cup”. Form dough into “cups” with your fingers. 4. Bake at 350*F. for 8 – 10 minutes. 5. While the tarts are still warm, use a cork or small spoon to make a depression in the top of each one. Do not go all the way to the bottom. When the tarts have cooled, remove from the pans, and fill the depressions with lemon curd. Make perfect depressions with a cork. These will keep at room temperature for 2-3 days. 6. To serve, dust the tops with a light coat of confectioners’ sugar, and decorate as desired. Don’t try to resist these. Just go with the flow and have one (or two) with a warm cup of coffee, or hot cocoa. Oh, my, they are beyond good. Perfect with a cup of coffee or cocoa. If you have never made biscotti before, let me assure you they are not hard. Yes, they bake twice. That’s what gives them their crunch. First you mix up the dough and shape it into a log on a baking sheet. Then the log is baked and allowed to cool a bit. Then you slice it crosswise, and bake it again. These cookies are crunchy and chocolatey. Chock full of chopped almonds and sweet dried cherries, then they’re dipped into melted semisweet chocolate for that extra special Valentine touch. Ta-da!! These are perfect for dessert, teatime, with a cup of cappuccino, perfect for breakfast, perfect for packaging up and giving this Valentine’s Day. Did I say they are perfect? Ooooo-yeah! Lots of good things go into these lovely biscotti. 1. Preheat oven to 350*F. Line a large cookie sheet with parchment paper. 2. With an electric mixer, cream the butter and sugar till fluffy. Add in the eggs and extracts, beating till well combined. 3. In a large bowl, whisk together the flour, cocoa, almond flour, baking powder and salt. With the mixer on “Low”, add in the dry ingredients in several batches. Stir in the almonds and cherries. 4. Spoon the dough onto the baking sheet diagonally in a long line. With lightly floured hands, shape the dough into a log that measures approx. 14″ x 3″. Smooth the top with a rubber spatula if necessary. Shape dough into a “log”. 5. Bake for 30 minutes. Remove from the oven and let cool 10 minutes. 6. Reduce oven temperature to 325*F. Spritz log lightly with water just to slightly moisten the crust. Cut crosswise into strips about 3/4-inch to 1-inch wide. Stand upright. Spritz the crust lightly, cut crosswise, and stand slices upright. 7. Return to the oven and bake an additional 25 – 30 minutes till dry. Remove and let cool completely. 8. To Dip: Melt 2/3 cup chips and the shortening in a microwave safe dish ( about 45 seconds at 50% power). Stir to smooth out, then stir in the remaining chips and stir again till smooth. Dip bottoms of biscotti into the chocolate. 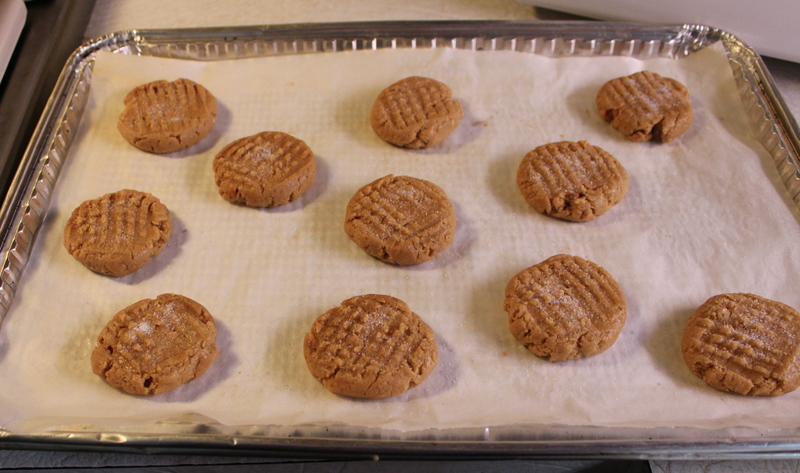 Let dry on a wax paper-lined cookie sheet. Refrigerate for 5 – 10 minutes to set. Dip bottoms of biscotti into melted chocolate. 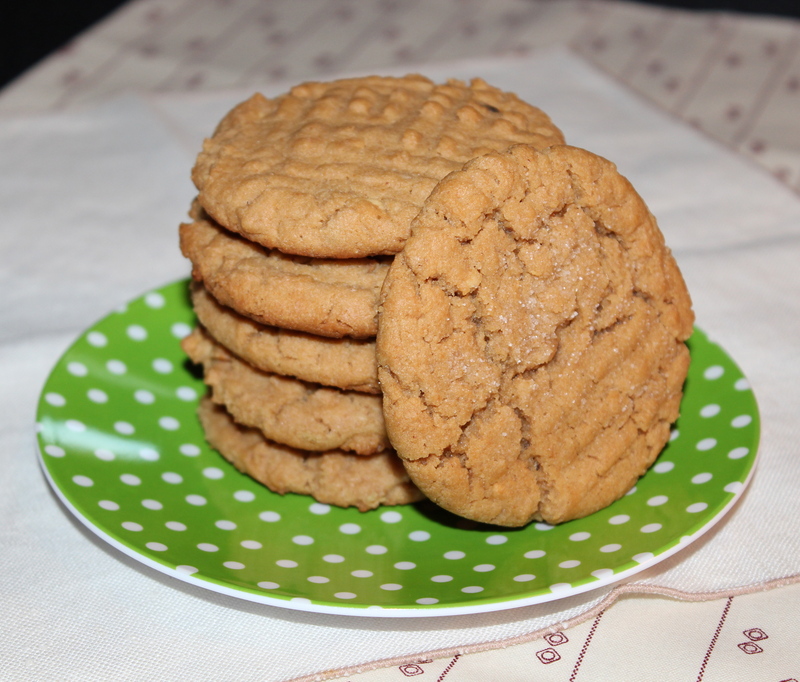 Speculoos, or Speculatius, are lightly spiced little cookies that are often made with a special rolling pin, that imprints a design on the cookie. In this version the dough is formed into a log, then sliced; thus making them small and round like a button. To keep this idea going I put only a small round disc of frosting on the top of each one and sprinkled colored sugar or pearls on it. These cookies are quite small and dainty, with their edges sparkling with sugar, and the dab of frosting on top, each one is just a quick little bite of deliciousness. 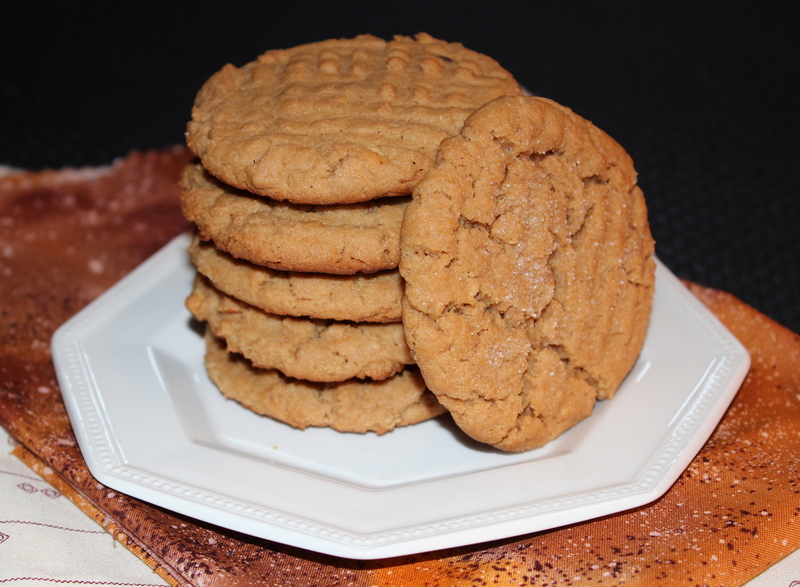 I modified the original recipe to include a more elaborate mix of spices that make a nice blend with the light brown sugar and mild-flavored light molasses. You might wish to make these little gems somewhat larger than I did, if you wish to decorate the top surface with piping or add more colored sugar. A nice blend of spices give these cookies their yummy flavor. Decorative sugars to roll the logs in. 1. Whisk the dry ingredients (flour through salt) in a medium bowl; set aside. Using an electric mixer at medium speed, beat butter in a medium bowl until smooth, about 2 minutes. Add both sugars and molasses; continue to beat until mixture is smooth and creamy, about 3 minutes. Beat in egg and vanilla, mix for 2 minutes. Reduce speed to low; add dry ingredients and mix to blend well. 2. Scrape dough from bowl and divide into thirds. Using your palms, roll each piece of dough into an 8″ log. Wrap logs tightly in plastic or parchment paper and freeze for at least 3 hours. Roll the dough into 3 logs, wrap in plastic wrap and freeze. I left mine overnight before baking. For neater edges, remove logs from freezer after 1 hour and roll on counter. Do Ahead: These cookies can be made up to 2 months ahead. Keep frozen until ready to bake. 3. Preheat oven to 375*F. Line 3 baking sheets with parchment paper or silicone baking mats. 4. Whisk egg white in a small bowl to loosen, lightly brush all over 1 log. Sprinkle with (or roll in) sanding sugar. Using a long slender knife, slice off a sliver of dough from each end of log to make ends flat. Cut log into 1/4″-thick rounds. Transfer to baking sheet, spacing 1/2″ apart; place in freezer while you cut the next log. (The cookies hold their shape better if you bake when dough is cold.) Repeat with remaining dough. Slice the logs into “coins” before baking. 5. Bake the cookies for 11 – 13 minutes, until tops are golden brown and centers are almost firm. Transfer cookies to wire racks and let cool. Repeat with all of the baking sheets. Do Ahead: Cookies may be baked up to 2 days before glazing. Store airtight at room temperature. 6. Glaze: Mix powdered sugar and 1 – 2 teaspoons cold water in a medium mixing bowl. Add more water a little at a time if needed. Glaze should be quite thick. You may spoon about 1/2 tsp. glaze onto each button, or fill a resealable plastic bag with glaze and cut a small hole in 1 corner, and pipe an even circle onto the cookies. Decorate with sprinkles, colored sugar, or dragées, if desired. Decorate each cookie with a little glaze and some colored sugar. Let stand on rack at room temperature for at least 30 minutes for glaze to set. Cookies may be stored at room temperature in a tightly sealed container. Ginger is always a must in my Christmas baking. Sometimes it appears in more than one item. Since I’m keeping it simple this year I settled on ginger snaps for my ginger fix instead of anything more elaborate. I can remember making these cookies with my mother when I was young and just wanting to help in the kitchen. I always had the sense of excitement and anticipation when my mother was baking, so that is where I wanted to be also. Often my job was “prepping”, i.e., chopping nuts, or fruits, or in this case cutting up the candied ginger. I never minded this because, you know, I got to taste everything in advance. That’s how I come by my love of candied ginger, and to this day I still have to eat a piece or two while I’m cutting it up. If store-bought ginger snaps are the only kind you have ever had then you will be very surprised by these. They are not in the least bit dry, or crunchy. You won’t need to dunk them into coffee or milk to soften them up. They are kind of hard to describe; a little crispy at the edges, but still soft and chewy inside. Spicy and gingery, but not overly so–just a good blend of spices. The outside is sugary, because you form the dough into balls and roll in sugar. Everything is better with a little sparkle, right? These are great for gifting or make a fabulous go-along for your cup of coffee, tea, or hot cocoa. I hope you love them as much as I do! 1. Preheat oven to 325*F. Line baking sheets with parchment paper or silicone baking mats. In a medium bowl, combine the flour, baking soda, ginger, cinnamon, cloves and salt. Whisk to blend. Stir in the ginger if using. 2.In the bowl of an electric mixer, combine the oil, sugar, molasses and the whole egg. Mix on medium speed until well combines. With the mixer on low speed, mix in the dry ingredients just until incorporated and a dough forms. 3. Shape small portions (about 1 Tbsp) into 1 to 1 1/2-inch balls. Place the sparkling sugar in a small dish, and roll each ball of dough in the sugar so that it is covered in an even layer. Repeat with the remaining dough balls. Roll dough balls in sugar. 4. Place the coated balls on the prepared baking sheets about 2 to 3 inches apart. Bake, just until the tops of the cookies are set and beginning to crack, about 15 – 17 minutes. Let cool on the baking sheets a few minutes, then transfer to a wire rack to cool completely. Store in an airtight container in a cool place. Note: The cookies will become more firm as they cool, but if you prefer a softer cookie for eating, warm in the microwave for 10 seconds.